If you are invited to a Super Bowl party on Sunday but don’t want to show up empty-handed, this easy slow cooker beer cheese dip is perfect. Or, if you are the host and don’t want to spend all of your time in the kitchen because you will miss all the action, this quick appetizer is the answer. 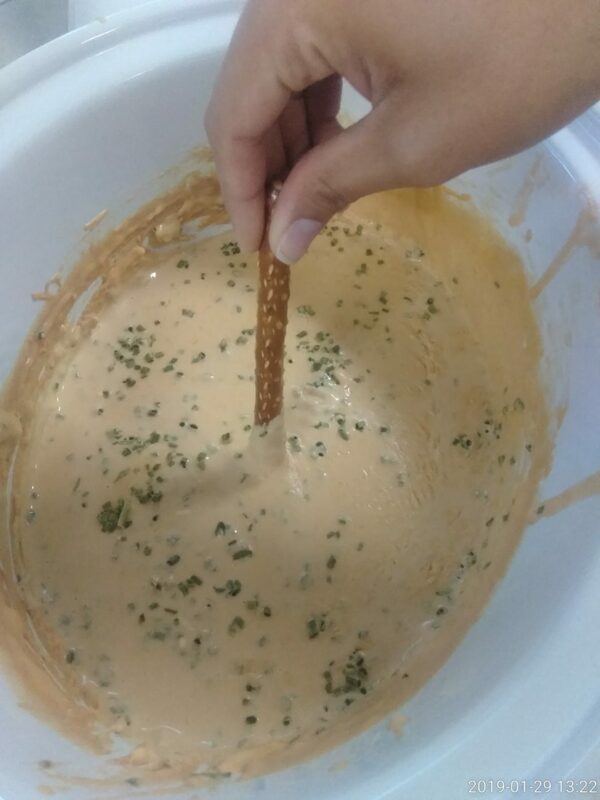 Visit our Instagram page to watch Peter Rasmussen make the beer cheese dip. The recipe is so easy it will be done in about an hour, giving you more time to mingle and to watch the big game. There are only three ingredients. You serve the dip with fresh chives and pretzel bites for dipping. You can’t go wrong when two of the ingredients’ are cream cheese and cheddar cheese. The third is Guinness. For most people, adding alcohol to anything is usually a hit. You cook the dip on low for an hour in a mini slow cooker, stirring well every 10 minutes. That’s it. And slow cookers are a great choice for dips because it can keep the dip warm after they are done cooking. Most of the time you just dump all the ingredients in the slow cooker and let it cook (that’s why I love slow cookers so much). It’s not the healthiest of meals, but it’s the Super Bowl. Indulge a little. In a mini slow-cooker, combine cream cheese, cheddar and Guinness. Cover and cook on low for one hour, stirring well every 10 minutes. Garnish with chives and serve with pretzel bites.